God’s heart is all about reconciliation. Scripture is one big love story, packed full of his attempts to win our stubborn and straying hearts. Finally culminating in the greatest sacrifice: the life of his one and only son. 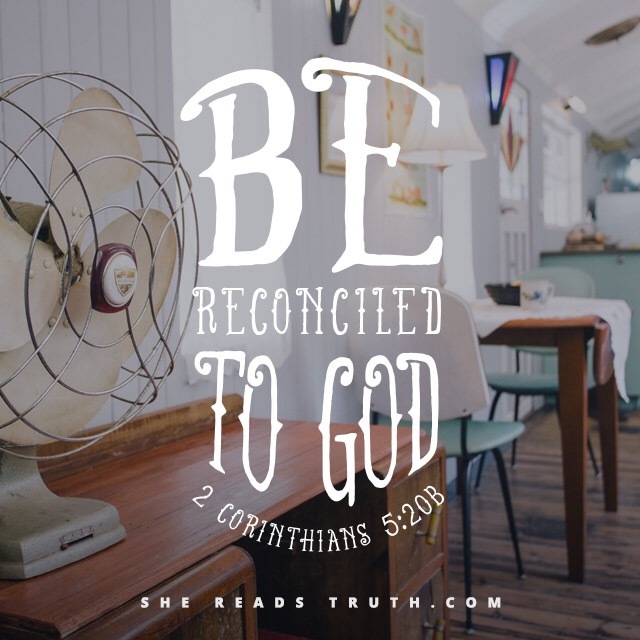 We are called to reconcile-perhaps this means a reconciliation between your heart and your actions, confessing your sins, or the pursuit of reconciliation in your marriage, or with an estranged family member or friendship. Do whatever it takes!